We are the Oxford Accessibility Project (OAP): a young not-for-profit that maps building accessibility for wheelchair users in Oxford, United Kingdom. We started in 2016, with a focus on the future. Our members are Oxford University students, staff and faculty. Together, we work to map the accessibility of colleges and social venues to help wheelchair users live active social and personal lives. Our work brings to light the often overlooked environmental barriers to social inclusion faced by wheelchair users. Our initial focus was to map the accessibility of every Oxford college to produce the first comprehensive college access guide available online. We believe this will help both present and future Oxford students and visitors. Looking forward, we're now turning our sights to mapping Oxford social venues – restaurants, cafés, bars, clubs and more – and to explore accessibility for non-mobility related disabilities. We are a young, socially-minded start-up that sees disability as diversity and empowers persons with disabilities to live engaged and fulfilling lives. Why not? If Oxford – home to the world’s oldest-English speaking university, replete with medieval and heritage-listed buildings, plagued by cobblestones and steps – can enthusiastically and sincerely commit to improving accessibility, we can set a powerful example for other universities, and institutions more broadly, around the world! Let's make Oxford – and then the world – accessible to all. Join the Project today! George enjoying his very social time at Oxford! George arrived in Oxford in 2010, as an undergraduate reading Biochemistry at Lincoln College. Having completed his PhD in 2017, George is now a Research Associate at the Department of Biochemistry. 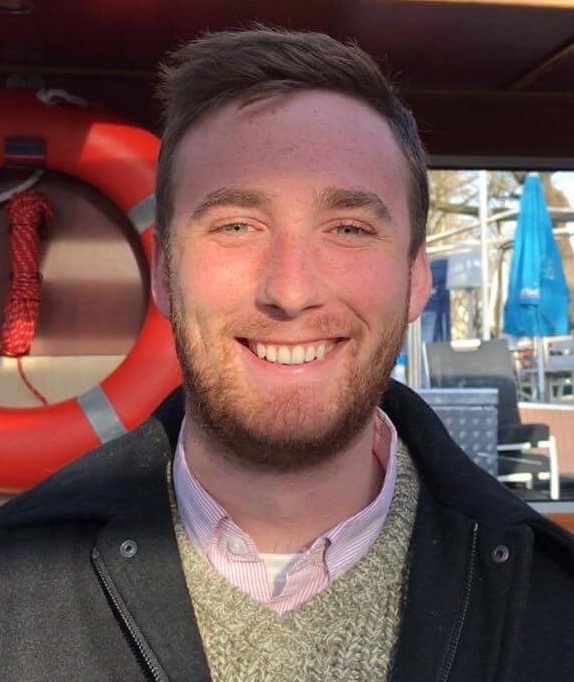 Having developed a strong knowledge of accessibility in Oxford's pubs, bars, restaurants, and social venues during this time, George is passionate about developing state-of-the-art resources to document this information, and ultimately drive access improvements for future generations. George and Matt (below) met at a bar in 2016 and formed an instant bromance over beers and their shared desire to improve the lives of Oxford wheelchair users by creating a network of students and staff passionate about accessibility. A rugged-up Ruth enjoying the snow! Ruth is a 2nd year DPhil working on explaining the concepts that AI models are learning. She's excited to be a part of OAP to help explain the missing gaps in Oxford's accessibility and enjoys cooking vegetarian at home, playing boardgames at Thirsty Meeples, and trying lots of different cuisines around town! Jay Ruckelshaus is a postgraduate student in St. John’s College studying political theory. He hails from Indianapolis, Indiana, and loves outdoor strolls, big furry dogs, a good Romantic poem, and not getting locked out of social venues in Oxford due to inaccessibility. On that note, he’s excited to be a part of OAP to help make Oxford more accessible. Jay is also the founder and CEO of Ramp Less Traveled, a US not-for-profit dedicated to helping students with spinal cord injuries get to college. A smiling Jay in the sunshine! Nothing better. Matt forgetting to brush his hair again. Matt moved to Oxford in 2016 to study a Master of Public Policy at the Blavatnik School of Government. With a background in journalism and in law, Matt is interested in how structural factors – such as laws and public policies – feed into the myths around, and low expectations of, people with disabilities. Matt is passionate about improving the access to opportunities for people with disabilities. More than just building ramps and lifts, this means changing attitudes and ideas.